As promised in Brucie’s Diary: November 2018, this feature will now only appear if there is something of relevance to include under the title of Brucie’s Diary. So here is a round-up of recent events dating from the end of last year. 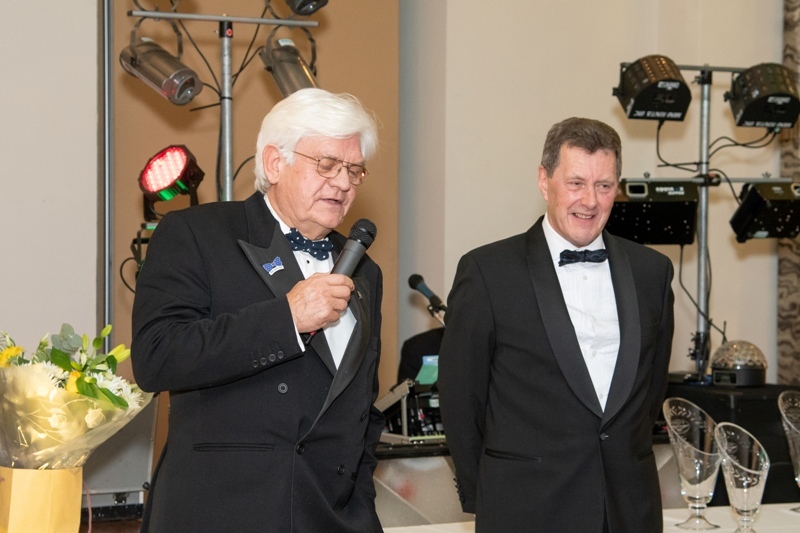 It was with deep regret that Terry Dye officially announced that he would be retiring from his role as JEC Racing Co-ordinator, a role which he has held for over 20 years and which developed around him. 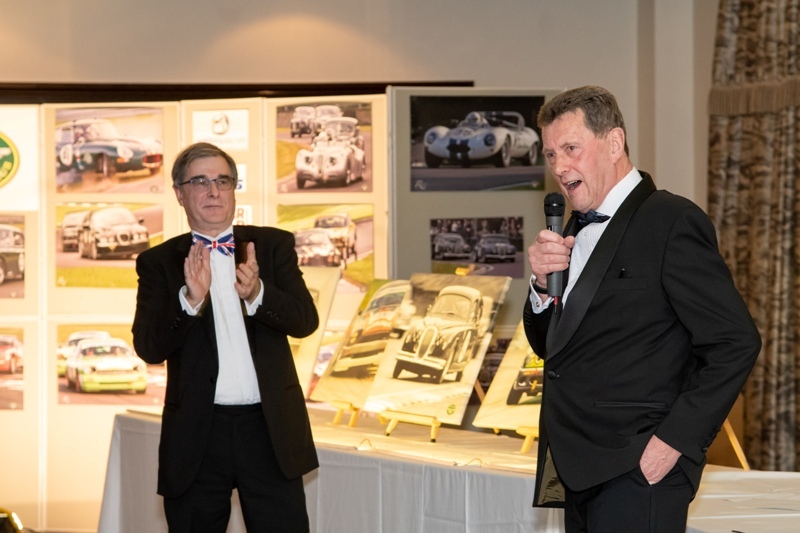 The 2019 Racing Awards Dinner was Terry’s formal farewell and Rob Jenner had been asked to make a presentation on behalf of the JEC. 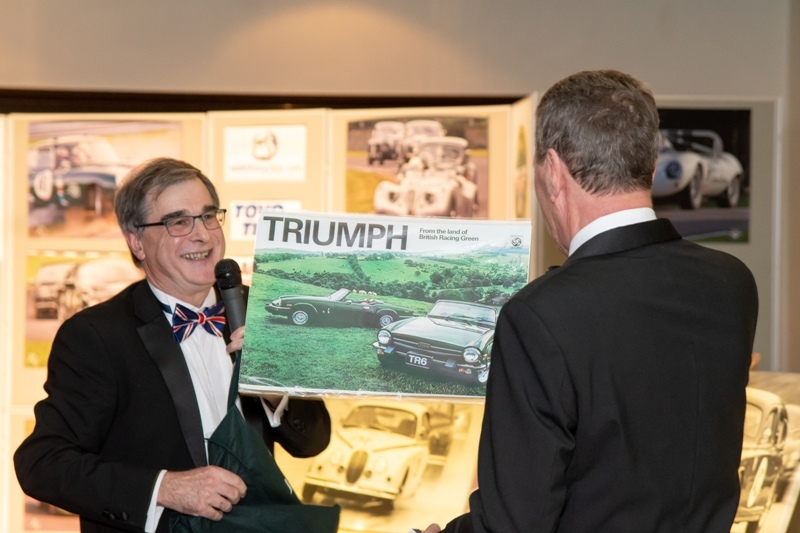 Rob presented Terry with a poster of a Triumph Spitfire, as a ride in a Spitfire had been organised as a thankyou and farewell gift. The surprise being that the ride was actually in a Supermarine Spitfire! 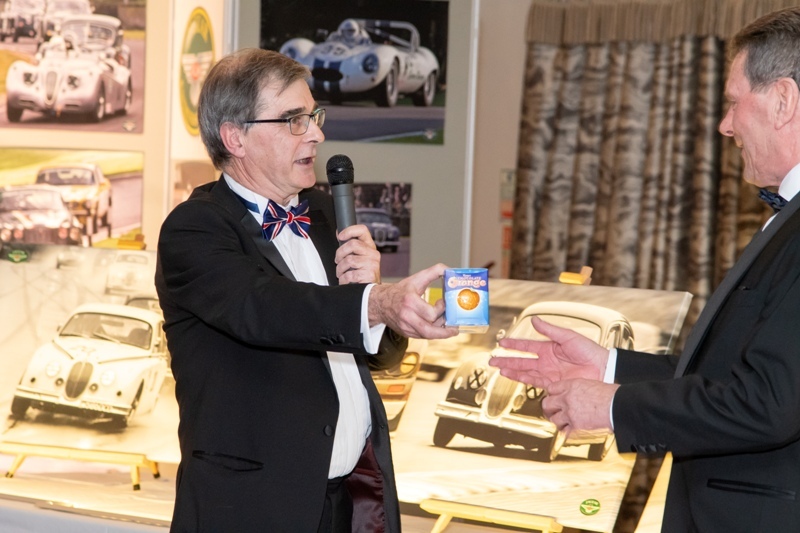 Rob then presented a Terry’s chocolate orange – alluding to the fact that for all his tremendous efforts over many years the man needs sectioning! 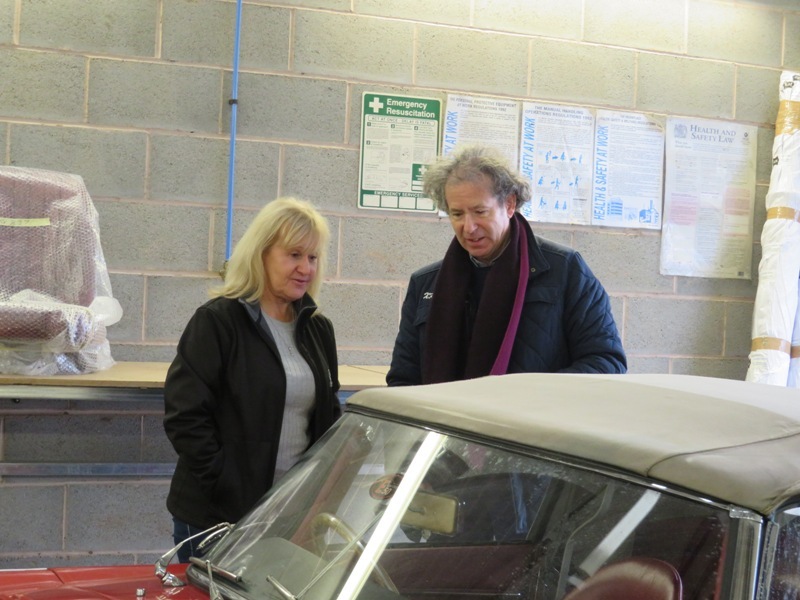 Many racing drivers and enthusiasts were sad to hear of Terry’s intended retirement, and he has been persuded to stay involved in some form in the future. 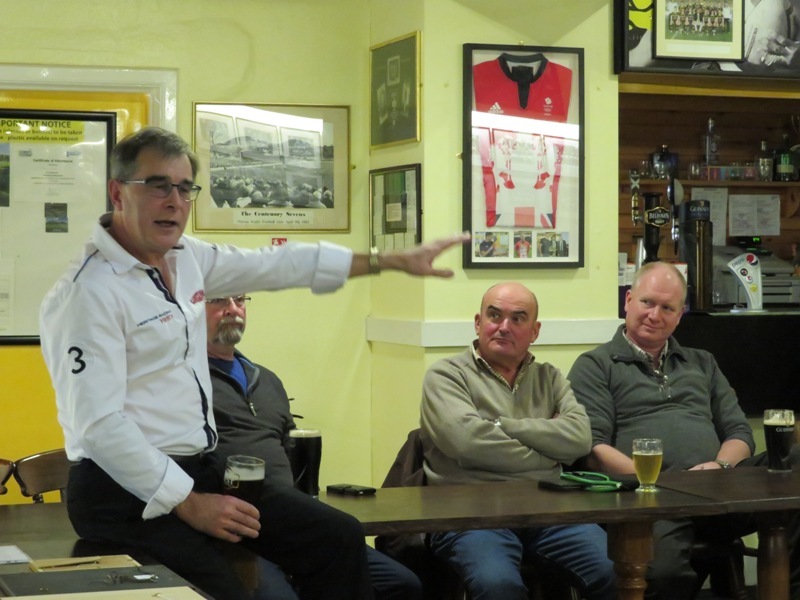 Nigel Webb stood up and did an impromptu farewell speech on behalf of all of the racing drivers. In his unique and entertaining style, Bruce Foster invited everyone at the racing dinner to record the event with a portrait! 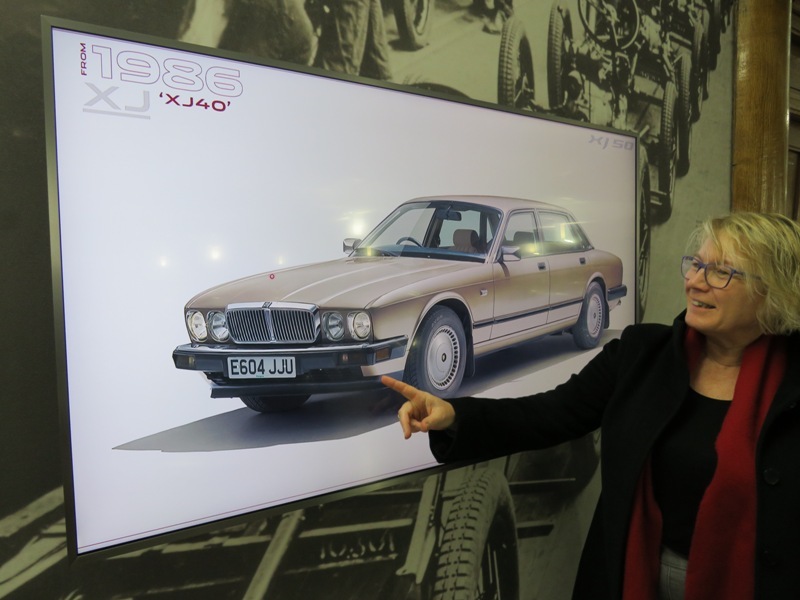 On Sunday we went to the Jaguar Collections Centre at Gaydon, and I am pleased to say that although Juno is nolonger part of the Jaguar Heritage Collection, her spirit lives on in the form of a picture, as part of the evolution of the XJ saloon on a wall-mounted screen. Monday was very busy! 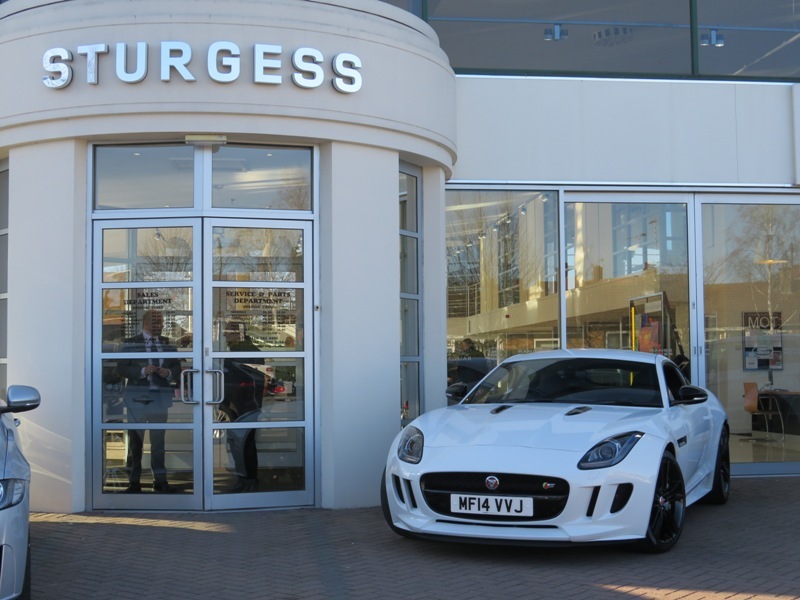 We had a meeting planned with Chris Sturgess at Sturgess of Leicester to discuss the purchase of the next JEC raffle car for 2019, which went very well. Here is a sneak peak of the chosen car. 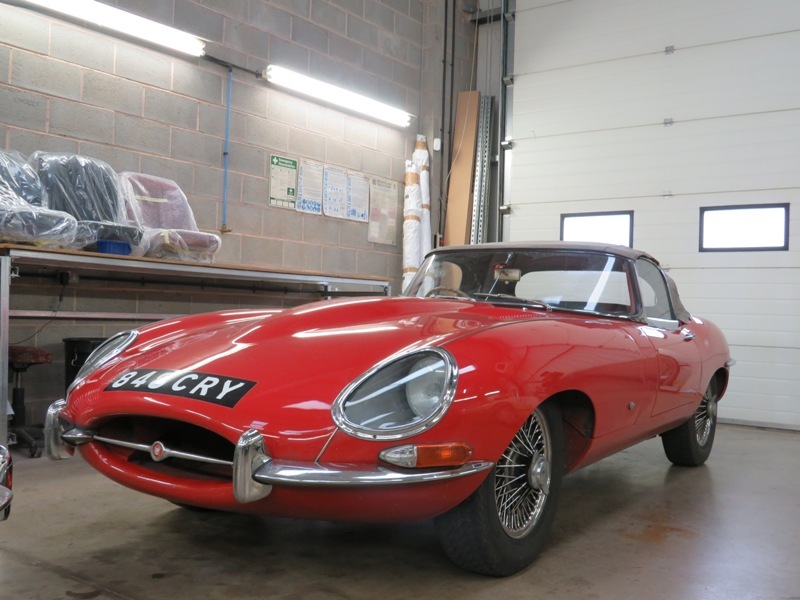 As we slowed down to turn into the road where GB Classic Trim is based, we spied an E-type approaching – a rare treat in January, but then it got much better than that! 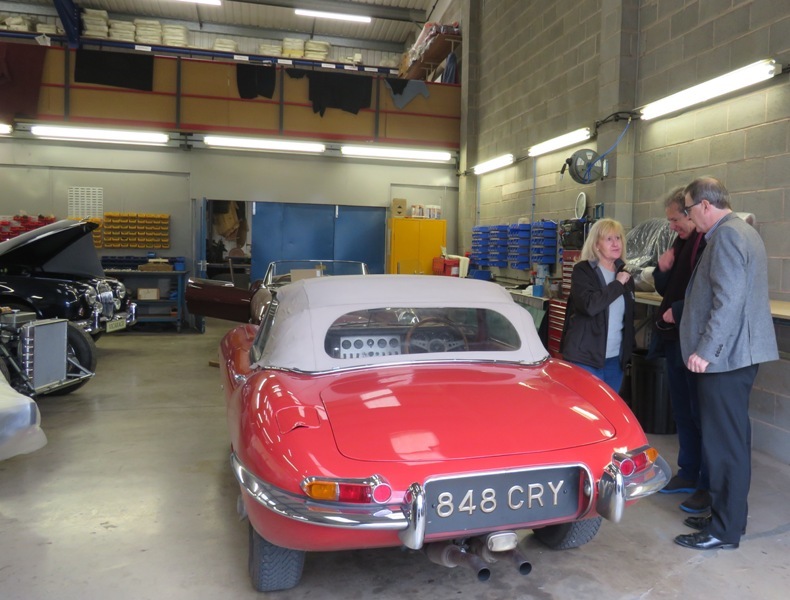 As it approached, we realised it was Philip Porter in 848 CRY – the Italian Job E-type! Philip was bringing 848 CRY to GB Classic Trim to have a new hood fitted. 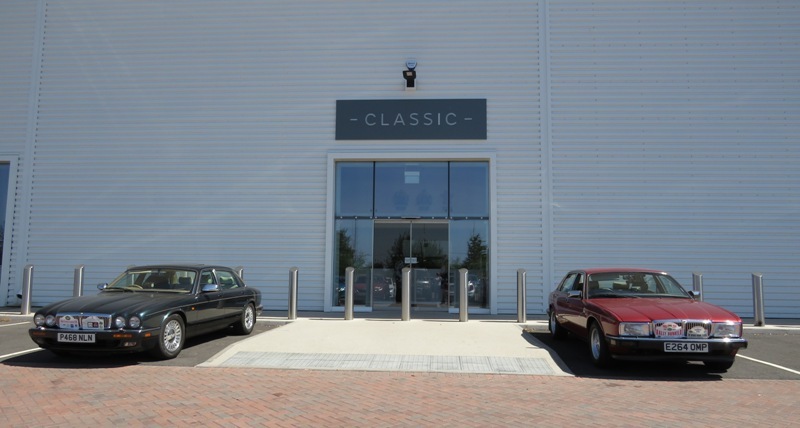 Finally we arrived at JLR Classic Works in Ryton for our meeting, but first we were given another tour of the workshops to keep up-to-date with how JLR Classic is growing and saw the new D-types being built and the growing storage facilities for treasures! 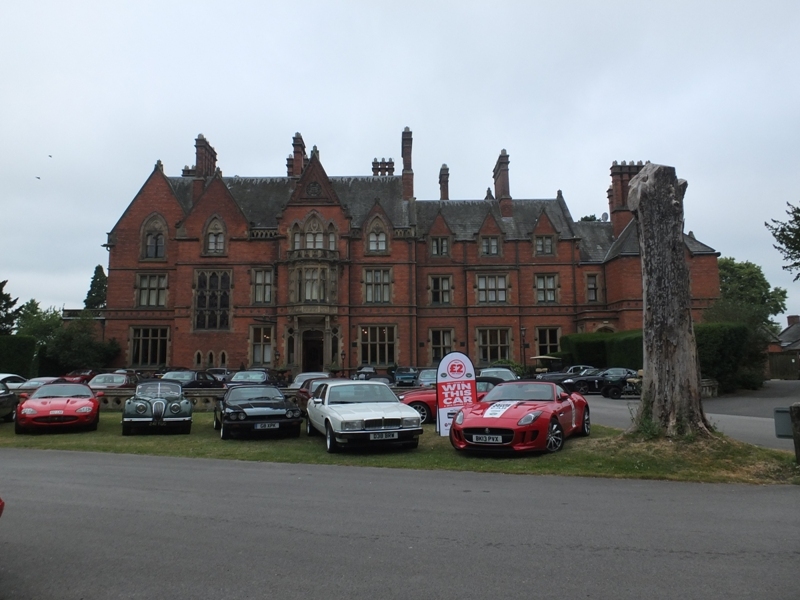 These pictures of JLR Classic Works were taken last summer after the JEC Summer Festival at Wroxall Abbey. 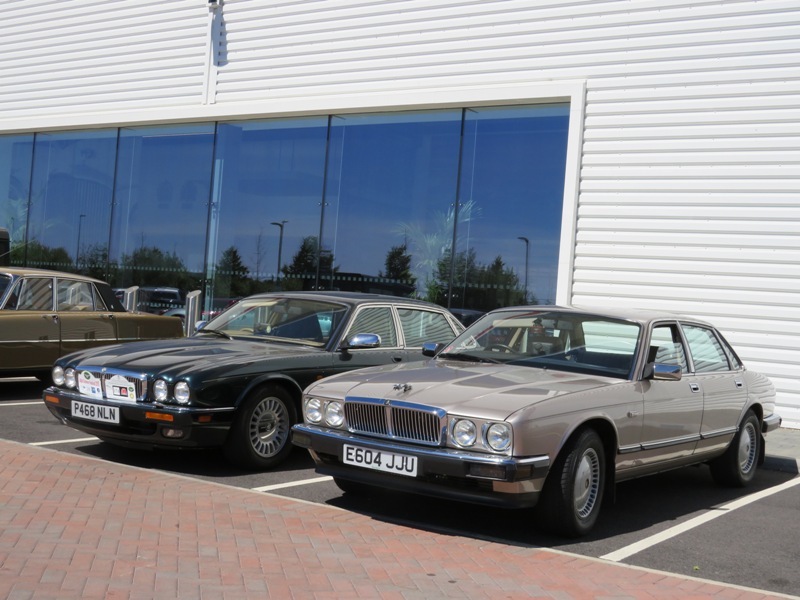 All 3 of my XJ saloons at JLR Classic in one day! 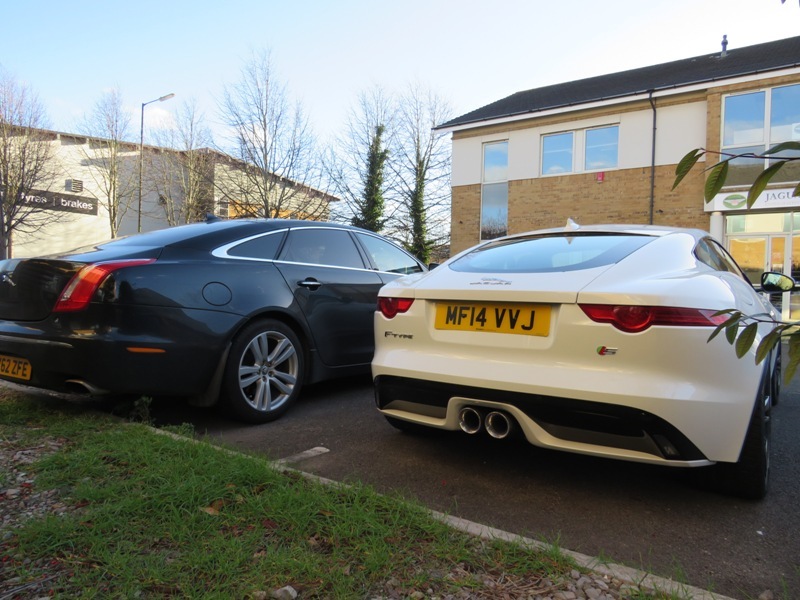 On Tuesday we had two meetings with SNG Barratt to discuss the company’s impending re-branding, as seen here, and to lay plans for the future. 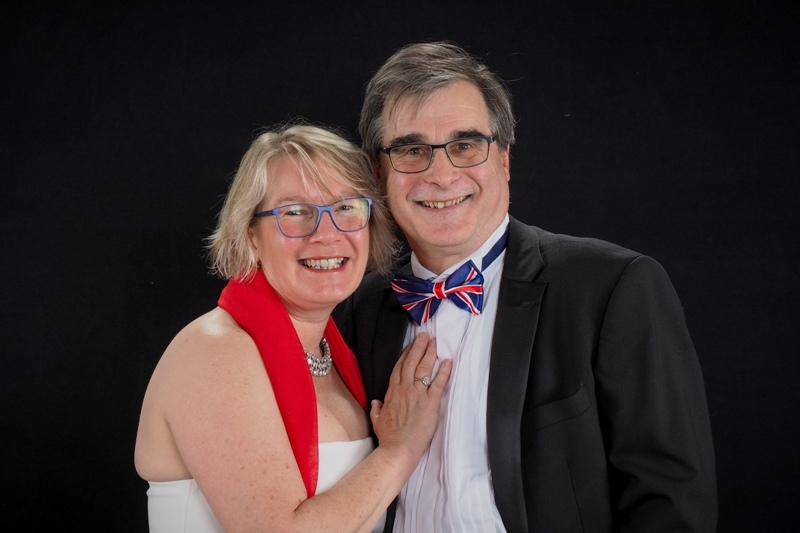 This picture was taken by David Marks, at the JEC Summer Festival 2018, at Wroxall Abbey. On Wednesday we returned to this glorious venue for a JEC Board Meeting, our final day in the Midlands for this trip, before driving back home to Scotland. 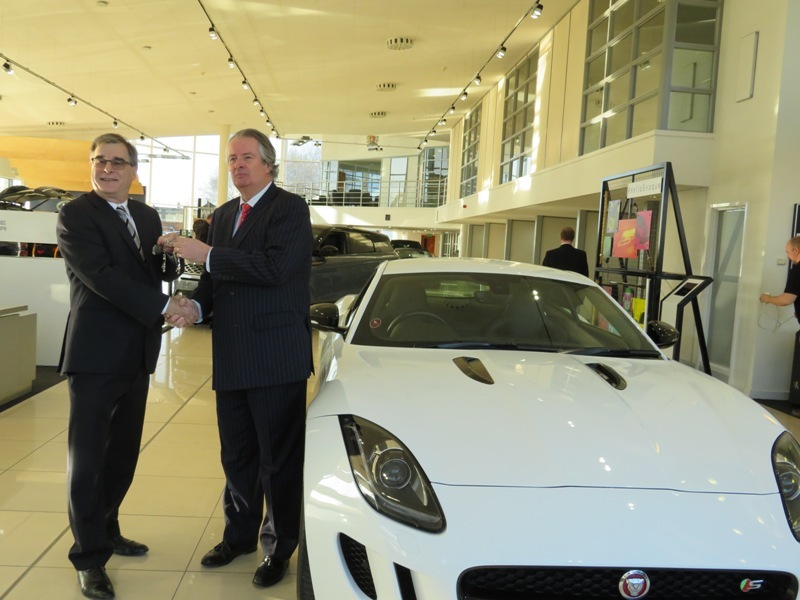 Official handover of the F-type from supplying dealer Sturgess of Leicester to the JEC. 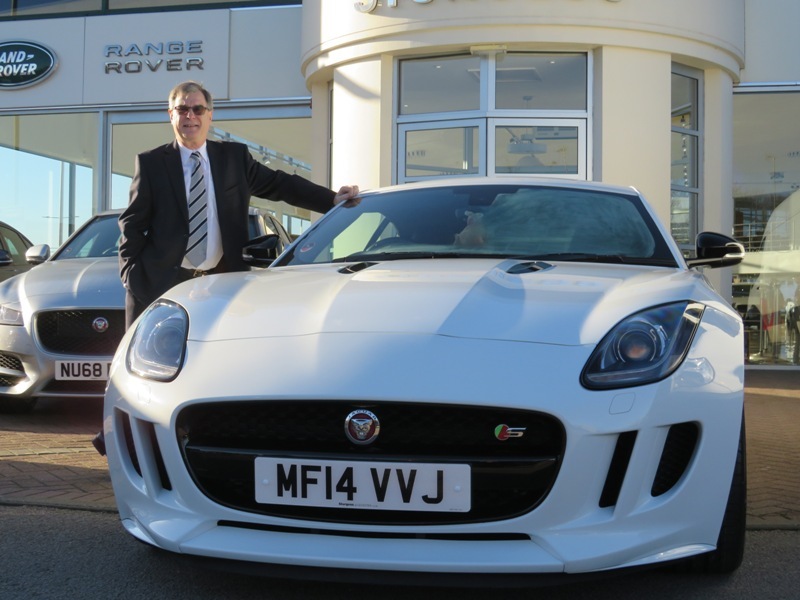 Chris Sturgess hands the keys to Rob Jenner! 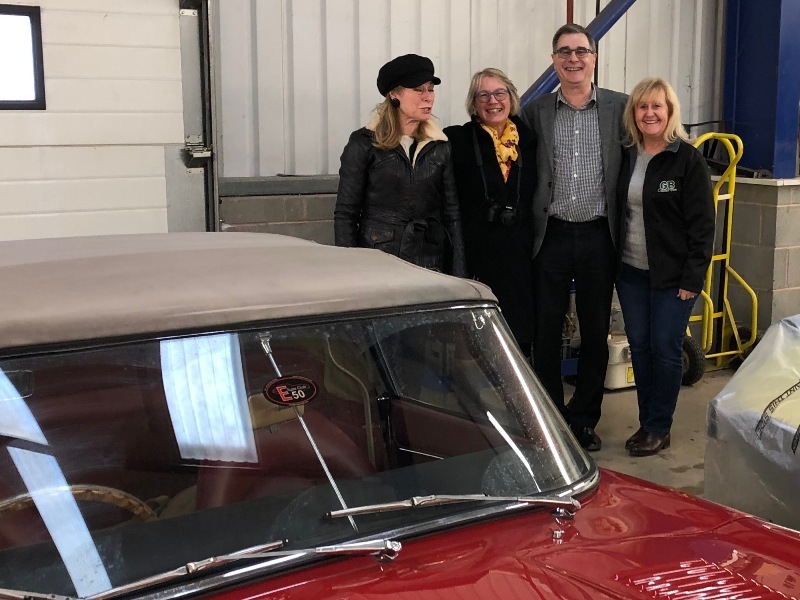 This is the prize draw car for the 2019 raffle which will make its debut at the London Classic Car Show, as per last year. 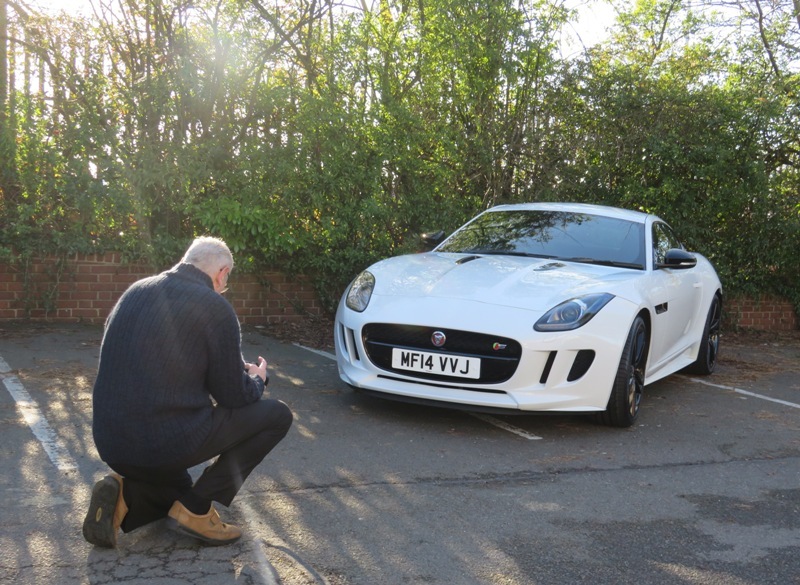 Nigel Thorley did a photoshoot in the grounds of a nearby hotel for the JEC magazine.